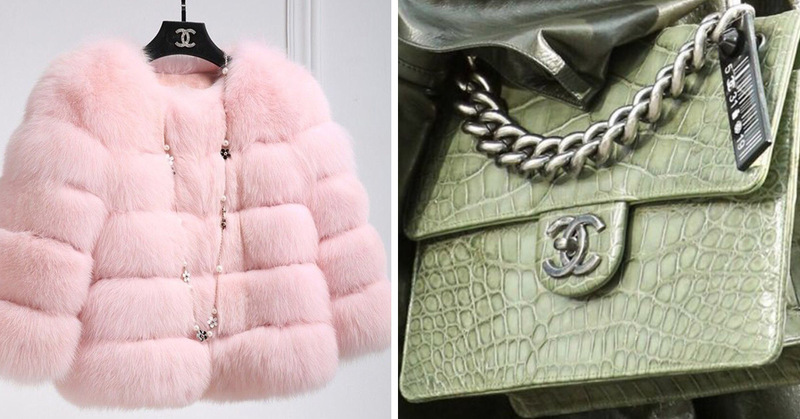 BREAKING: Chanel Will No Longer Be Using Real Fur Or Exotic Skins For It's Collections! 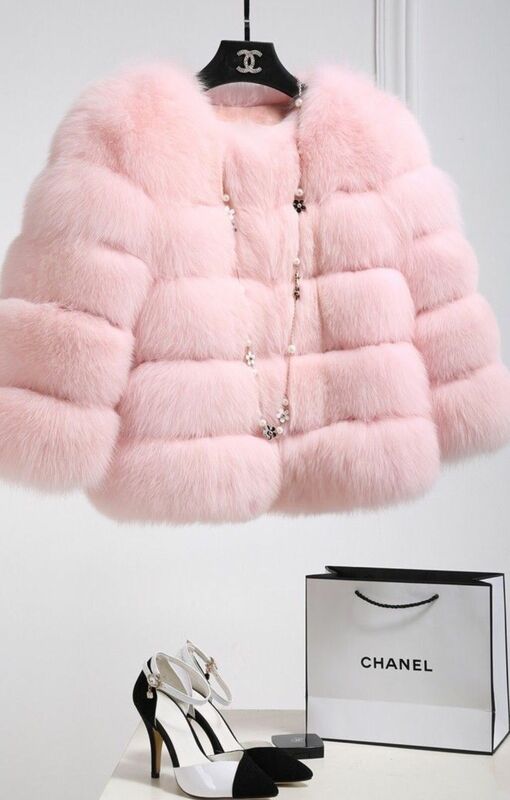 BREAKING: Chanel Will No Longer Be Using Real Fur Or Exotic Skins For It’s Collections! Happy days folks! 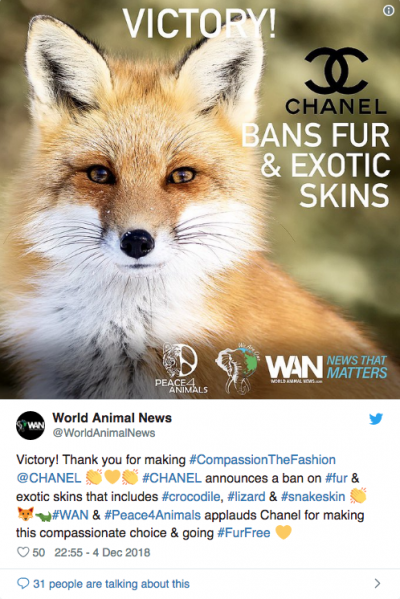 In the fight against a*sholes who still wear real fur, the Good Guys (aka all the people who refuse to wear real fur) have just had a major player join their team; the one and only global fashion giant – CHANEL! 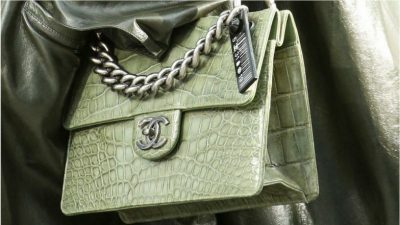 Yep, that’s right, Chanel will no longer be using the skin from crocodiles, lizards, or stingrays! In fact, their range of python skin bags was taken down from the Chanel website on Tuesday, 4th December. AMAZING! “But what about fur! ?” I hear you ask. Yep, fur is going too! As part of this amazing step in the right direction, Chanel will also be banning the use of fur from animals such as racoons (!? ), dogs,, minks and rabbits. It will, however, be a while until they remove already existsing products which use such fur from the shelves. The high-end fashion brand will be reseatching and devloping sustainable ‘agri-food’ textiles and leathers for their future designs, meaning that they’ll have an impact on the environment. Even BETTER! “At Chanel, we are continually reviewing our supply chains to ensure they meet our expectations of integrity and traceability. 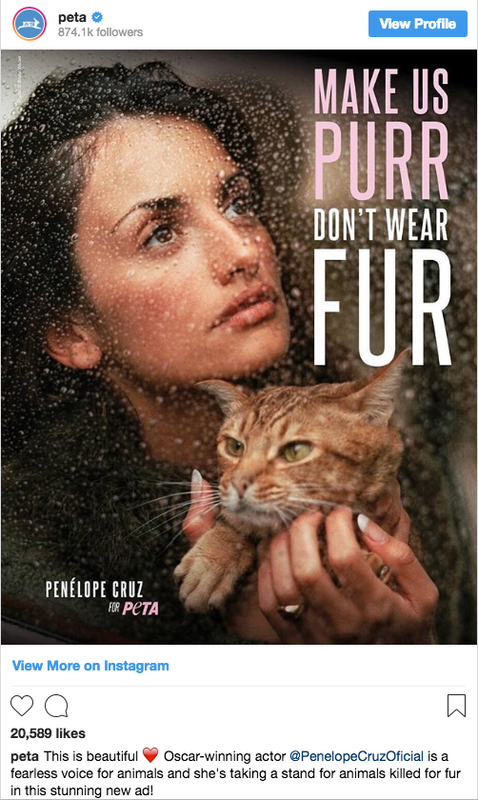 More so, in recent years actual genuine fur has incresingly been seen as both outdated and unfashionable, with many many brands commiting themselves to only using fake fur in their products. 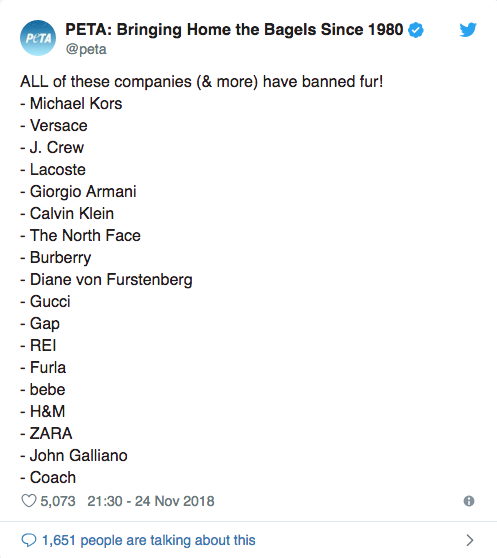 Other amazing designers who’ve also seen the light and banned the use of real fur in their designs include huge names such as; Gucci, John Galliano, Armani, Coach, Donatella Versace and Michael Kors! Various animal rights campaigners from all over have praised this strong sign of progress, and now of course are calling for even more companies to follow Chanel’s inspiring lead. “There’s nothing trendy about using stolen skins from tormented animals for clothing or accessories. Well all I can say is well freakin’ done Chanel for setting such a fine example for other high fashion brands around the world! Change is happening people, and it is WONDERFUL!